The Runner’s High: what is it and can anyone get one? Some athletes say they’ve never entered ‘the zone’ while others swear they practically live in this magical zone of euphoria. So, is it for real and can anyone have one? 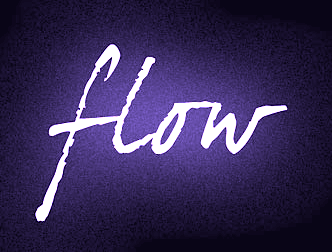 It is for real and it has a name: flow. The word showed up on a final exam last semester – flow being a well researched component of Adventure Education. According to Mihály Csikszentmihalyi who gave it the name, flow is completely focused motivation, a deep focus on nothing but the activity – not even oneself or one’s emotions. Flow is an intense experience of being so engaged in an activity that your sense of self and time temporarily fade. Csikszentmihalyi and his fellow researchers began researching flow after Csikszentmihalyi became fascinated by artists who would essentially get lost in their work. Artists, especially painters, become so immersed in their work that they disregard their need for food, water and even sleep. Historical sources hint that Michelangelo may have painted the ceiling of the Vatican’s Sistine Chapel while in a flow state. 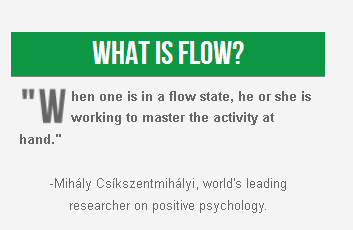 Csíkszentmihályi hypothesized that people with several very specific personality traits may be better able to achieve flow more often than the average person. These personality traits include curiosity, persistence, low self-centeredness, and a high rate of performing activities for intrinsic reasons only; known as an autotelic personality. People with autotelic tendencies are internally driven and may exhibit a sense of purpose and curiosity. This determination being different from an externally driven personality where things such as comfort, money, power, or fame are the motivating force. One researcher (Abuhamdeh, 2000) found that people with an autotelic personality have a greater preference for “high-action-opportunity, high-skills situations that stimulate them and encourage growth” compared to those without an autotelic personality. It is in such high-challenge, high-skills situations that people are most likely to enter the flow state. 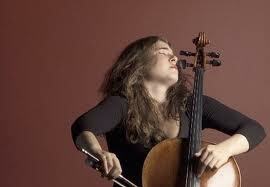 Musicians, especially improvisational soloists experience flow. Research has shown that performers in a flow state have a heightened quality of performance as opposed to when they are not in a flow state. In a study performed with professional classical pianists, heart rate and blood pressure decreased and the major facial muscles relaxed while the pianists were in the flow state. This study emphasized that flow is a state of effortless attention. In spite of the effortless attention and overall relaxation of the body, the performance of the pianist during the flow state improved. Drummers experience a state of flow when they sense a collective energy that drives the beat, something they refer to as getting into the groove or entrainment. Bass guitarists often describe a state of flow as being in the pocket. In every given moment, there is a great deal of information made available to our brain. Psychologists have found that one’s mind can attend to only a certain amount of information at a time – about 126 bits of information per second (Csikszentmihalyi’s 1956 study). Decoding speech takes about 40 bits of information per second; about 1/3 of our total capacity, which is why we cannot carry on a conversation and drive very well at the same time. For the most part (except for innate basic bodily feelings like hunger and pain), we decide what we want to focus our attention on. When we are in the flow state, however, we are completely engrossed with the task at hand, without making the conscious decision to do so. Awareness of all other things: time, people, distractions, and even basic bodily needs is non-existent. This occurs because total attention of the person in the flow state is on the task at hand; there is no more attention to be allocated. During states of “normalcy,” we control our focuses and thought processes. When in the zone, the part of the brain associated with consciousness and self-reflection (the default mode network) runs off in manic glee while our capacity for attention and reason (the executive network) effectively deactivates. Apathy is characterized when the challenge is low, and one’s skill level is low – producing a general lack of interest. Boredom occurs when the challenge is low, but the skill level is high. We all understand anxiety occurs when the challenge exceeds our perceived skill level. 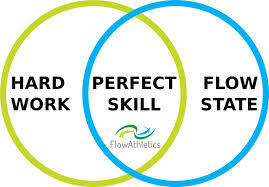 A state of flow occurs when challenges match skill. pace, or terrain (level of difficulty) is too challenging (anxiety). Some runners report achieving ‘runner’s high’ during a race or a tempo run – a run slightly below 10k race pace that is sufficiently taxing on the system but not an all-out effort. Somewhere in this ideal zone runners lose themselves and reach a state where mind and body become one – the consciousness of running and the doing of it become indistinguishable. Experimental evidence shows that a balance between the skills of the individual and the demands of the task only elicits flow experiences in individuals characterized by an internal locus of control or an habitual action orientation; this basic ‘need for achievement’ being a personal characteristic that fosters flow experiences. Locus of control refers to the extent to which individuals believe they can control events affecting them. A person’s “locus” (Latin for “place” or “location”) is conceptualized as either internal (the person believes they can control their life) or external (meaning they believe their decisions and life are controlled by environmental factors which they cannot influence, or by chance or fate). Individuals with a strong internal locus of control believe events in their life derive primarily from their own actions: for example, when receiving test results, people with an internal locus of control tend to praise or blame themselves and their abilities. People with a strong external locus of control tend to praise or blame external factors such as the teacher or the test. The flow concept has been used in things as diverse as design methods for playgrounds, business, sport psychology, computer programming, and stand-up comedy to more intrinsic applications, such as spirituality and self-help. Flow experiences imply a growth principle. When in a flow state, we are working to master the activity at hand. To maintain that flow state, however, we must seek increasingly greater challenges. Attempting these new, difficult challenges stretches our skills and we emerge stronger, more competent, and with a greater sense of personal satisfaction. Mihaly Csikszentmihalyi wrote a book on the subject, “Good Business: Leadership, Flow, and the Making of Meaning,” where he argues that with increased experiences of flow, people experience growth towards complexity, in which people flourish as their achievements grow. That says it all.